Conservatives win historic minority government in P.E.I. Should flood victims be compensated? 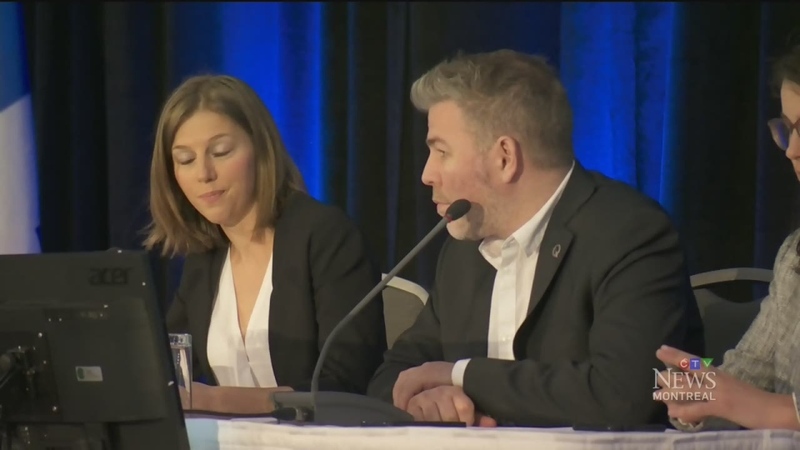 With high-profile defections and criticism from within causing friction, the Parti Quebecois held a national council meeting on Sunday to try and chart a course forward for the beleaguered party. Weeks after members of the PQ’s youth wing wrote an open letter supporting the decision of MNA Catherine Fournier to resign from the party to sit as an independent, the infighting continued. Still, the youth wing pushed through three of its four proposals, which grant more power to those under 40. “The youth wing is really there to push,” she said. The summit ended without a clear picture of what the PQ will be going forward, as the party searches for a new identity in the wake of the 2018 election, where it won just 10 seats – the same number as their relatively new sovereignist rivals Quebec Solidaire. Interim leader Pascal Berube said that no matter what, the PQ will be very different heading into the next provincial election. The party will hold a full policy meeting in November – the party’s first since 1985 – as members debate the PQ’s position on a host of topics and possibly even the structure of the party itself.